The humble rock cake, it doesn’t sound like the most appetizing thing in the world to eat, but trust me, they are a very nice teatime treat, and a popular component of the traditional high tea. Rock cakes originated from Great Britain, where they are still found on the table at teatime in many homes in England. 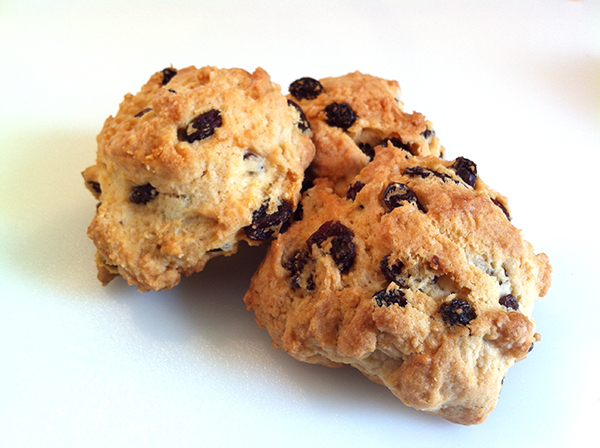 Rock Cakes are also known as Rock Buns, depending on where in the UK you live. The Ministry of Food promoted them during World War Two, due to the fact they required fewer eggs and less sugar than many cakes, which made them very easy to make during the period of rationing. These light and crumbly teatime favorites are very easy to make and are best enjoyed warm from the oven. I can certainly recommend them, and they are fun for children to make too.